The latest from Edward M. Lerner is about to appear! 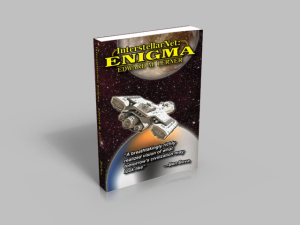 The adventure that began in InterstellarNet: Origins and InterstellarNet: New Order continues to its thrilling climax in Interstellarnet Enigma. No one has thought harder than Ed Lerner about what First Contact with an alien species would mean, how it would work–and how it might go terribly wrong. Click on this link or the cover image to learn more.